Chris Pitches originally bought his property in Bude, Cornwall as a retirement home but major life changes prompted him to renovate and remodel the elegant Edwardian house into the two-bedroomed bed and breakfast business Pot & Barrel. As someone who has always worked for himself, Chris didn't baulk at the challenge of taking this on single-handedly, "Five years on and I haven't looked back since, I think this is what I always wanted to do." 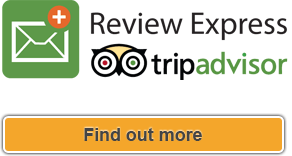 Glowing reviews for his hospitality and hearty breakfasts secured two AA Awards for Chris. Bude scooped the title of "Best UK Coastal Resort" in the British Travel Awards 2015. With an elevated position overlooking Bude's Crooklets beach, Chris's 5*AA B&B has consistently enjoyed full occupancy during the peak summer months. "I get guests from all over the world, from America to Australia and everywhere in between, but I would say the majority are Brits. The average stay is for three or four nights but recently there were two couples who booked and stayed for fifteen nights," he says. When did you start using freetobook? Would you recommend to other B&Bs? "It was my new website designer www.webdesignforaccommodation.co.uk in fact who suggested I try freetobook as my online booking engine. I'm so pleased I did, I'm over the moon in fact as it's commission and (most importantly) hassle-free. You just set rates and the terms and conditions and the system does all of the work." 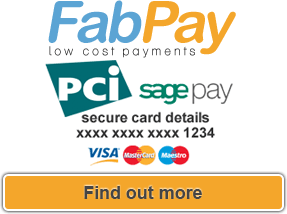 "I also signed up to use freetobook's FabPay to process card payments. It's cost-effective and again hassle-free as it's PCI compliant, storing the card numbers as tokens. I used to rent a card payment terminal so I'm £25 plus VAT per month better off and that's just for starters. Paypal is much more expensive than FabPay per transaction. With my guests I can now simply ask them if they want to pay the balance on the card they used for their deposit and it does it all without having to ask for the card again." So what are Chris's plans for the Pot & Barrel B&B over the year ahead? Chris is now offering an extended menu of special dinner, bed and breakfast packages for the off-season months of October through to May. He explains, "I'm hoping to build on last year's strong bookings and so far it seems to be working well. 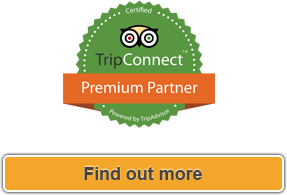 I'm using special promo codes and have partnered up with number of websites including www.visitcornwall.com and www.cornwall-online.co.uk that offer commission-free room bookings and direct links to my website. Using different promote codes for each advertising site means I can determine which ones are driving the most traffic and bookings. "I export my guest email list from freetobook into Mailchimp and email all my previous guests a newsletter three or four times a year with news and special offers. Another way of generating commission and cost free bookings and just had two 3 day bookings from this source. I'm just about to advertise with the Daily Mail and the Mail on Sunday so it will be interesting to compare with national press results." "I signed up to use freetobook's FabPay to process card payments. It's cost-effective, hassle-free as it's PCI compliant, storing the card numbers as tokens. I used to rent a card payment terminal so I'm £25 plus VAT per month better off and that's just for starters."